Second revised edition of Grenville's one-volume global history of the twentieth century, covering key events, personalities and technological advances. The book has been brought up to date to include recent events in Bosnia, the Middle East and Hong Kong. Originally published in 1994 by HarperCollins. The 20th century is the century of communism and fascism, of debt and prosperity, of the United Nations and nationalistic fervour, of mass demonstrations and individual defiance; and also of the aircraft and the submarine, of the conveyor belt and the computer, of miracle cures and new diseases, and of radio and television. Above all, it is the global century. Never before in human history have so many men and women occupied our planet, nor moved around it with such ease. Never have so many been killed by their fellow men for the sake of nations and leaders more powerful than any in history. Never has the fate of all the peoples of the world been so inextricably entwined. 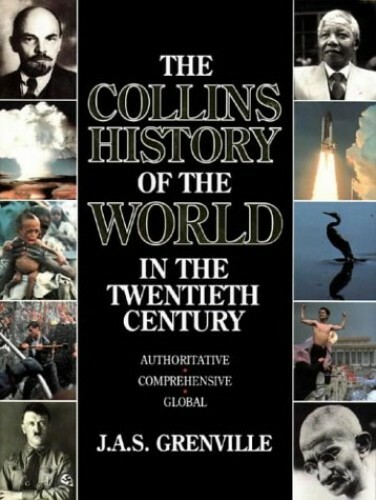 Professor Grenville, author of "Europe Reshaped 1848-78", wrote this world history of the 20th history.